Vault 63 is real, and there are photos to prove it. 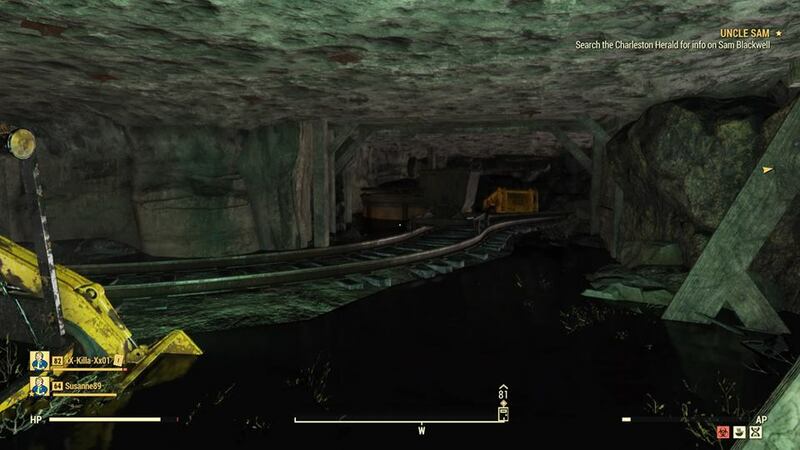 A Fallout 76 player managed to get themselves stuck in an area previously believed to be inaccessible, and still technically is. The area in question is Vault 63, an area many believe will be the site of some upcoming story expansion or DLC. Reddit user McStaken chronicled their adventure into Vault 63 after accidentally glitching in during a Rad-Rat horde event. They and some other players fast-traveled to the event and were accidentally warped into Vault 63. While there, McStaken posted pictures and screenshots from inside Vault 63, which is reportedly a work-in-progress. Judging by the photos, work on Vault 63 is coming along nicely. Photos from inside Vault 63 shows living conditions far worse than those of Vault 76. There are no party balloons celebrating Reclamation Day. Instead, there are skeleton corpses, rusted interiors, some kind of underground mine, and what looks to be a nuclear reactor. Vault 63 is one of a handful of unopened vaults littering the Fallout 76 map. Vault 63 is in the southwest portion of the map near the Ash Heap, but there are also Vaults 94 and 96, which are also locked. McStaken was apparently stuck for a good grip and even contacted Bethesda Support for help on getting out. Eventually, McStaken was able to escape on his own but was worried he might be banned for trespassing. In a statement to Polygon, Bethesda says McStaken "shouldn't have to worry about a ban. Sounds like they weren't abusing an exploit, and letting us know is a good thing we definitely appreciate." Other players in McStaken's Reddit thread say they too wound up in Vault 63. This is likely because of some glitch or bug. 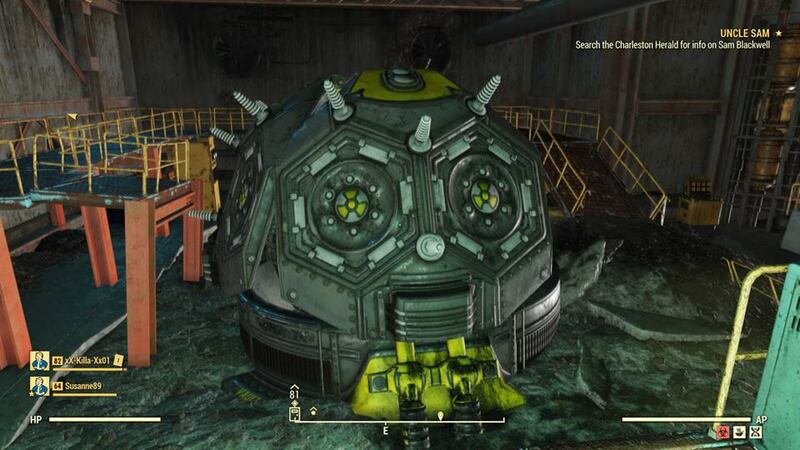 A similar bug allowed players into the locked Fallout 76 developer's room which contained a host of unavailable and rare items that players then proceeded to loot. Of course, it came at the risk of a ban. 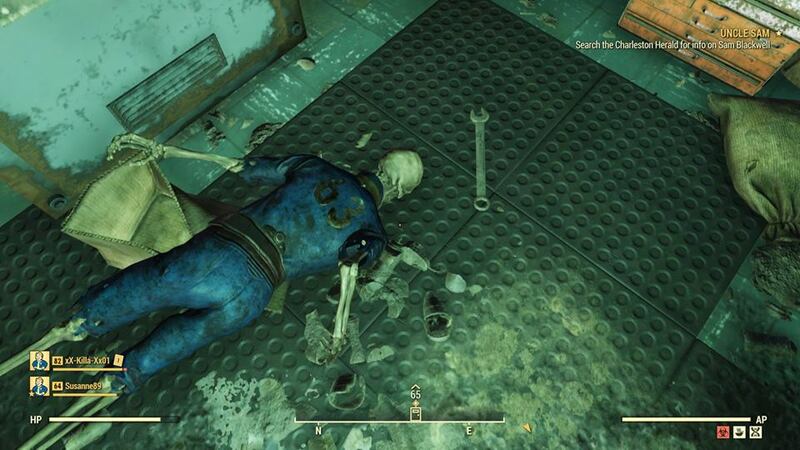 Bugs are nothing new in Fallout 76. In fact a recent patch re-introduced old bugs back into Fallout 76. Who knows? Maybe players will be able to access one of the other locked vaults in Appalachia soon? You can check out our full Fallout 76 guide for our complete coverage including guides, walkthroughs, and tips. Tagged with Bethesda Softworks,	FPS,	MMOs,	News,	PC,	PlayStation 4,	Role Playing Games,	Xbox One.